Killing off another Flash for shock value in another book with Crisis in the title is lazy. Killing off yet another Titan for shock value is lazy. Killing off a former headliner who shares a title with another character who’s currently starring in their own book so you can kill an A-lister without actually killing off a current book is lazy. These were shocking years ago. Now they’re cliches. And killing off a character who still has story potential is just plain wasteful. I’m still waiting for that more optimistic DCU that DC: Rebirth was supposed to usher in. Yes, you *can* have a Crisis without a dead Flash. This entry was posted in Opinion and tagged Heroes in Crisis on October 4, 2018 by Kelson. 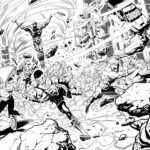 Flash writer Joshua Williamson posted a nice little tidbit on Twitter yesterday which excited a fiercely diehard segment of Rogues fandom: the apparent return of the Top in January’s Flash annual! It’s been a long, long time since we’ve been happy, as unfortunately Turbine and then the later iteration of New 52 Roscoe Dillon never really hit the mark for us. So this news is very much welcome and appreciated. No other details yet, but the annual will also bring back Magenta for the first time in a long while, so there’s much to look forward to in January. This entry was posted in Flash News, Opinion on November 21, 2017 by Lia. 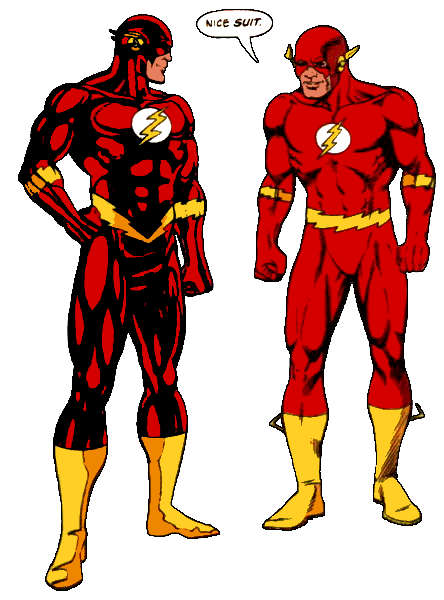 When I first watched “Fast Enough,” the Flash Season One finale, I was relieved that they weren’t jumping into Flashpoint, and that they weren’t wiping out an entire season’s worth of stories (not to mention elements of Arrow). There’s only so far you can take a reset button without removing tension or basically creating a new show. This entry was posted in Opinion and tagged Fast Enough, Flash TV Show 2014, Time Travel on September 9, 2015 by Kelson. Is Every Door Really Open After Convergence? A few months ago, Dan Didio said that “we’re leaving every door open” after Convergence. It’s easy to read that as suggesting that all those old versions of the characters are now officially out there somewhere in the multiverse…. …except they aren’t. Not according to Convergence #8 anyway. This entry was posted in Opinion and tagged Continuity, convergence, Multiverse on June 7, 2015 by Kelson.